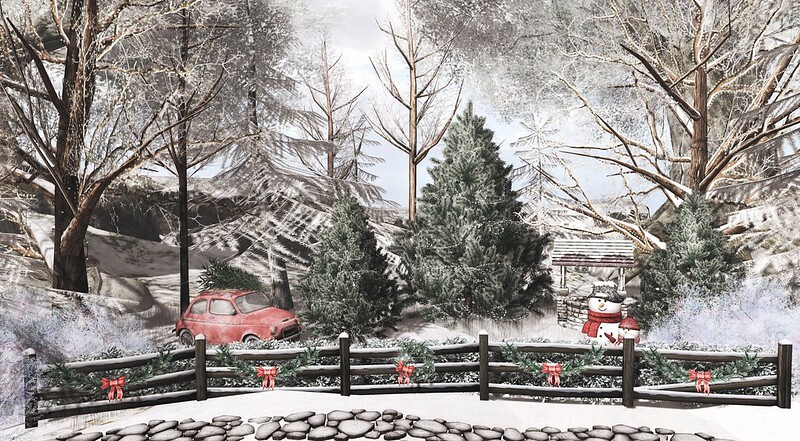 A huge thank you to Elvi Hartley for allowing me to use her landscaping scene to create my own little Christmas scene. All of Elvi’s items are marked with an asterisk (*) If you’re not already familar with Elvi’s gorgeous landscaping and decorating, check out her blog or flickr stream! This is also my favorite Christmas song ever, plus I love The Smashing Pumpkins!